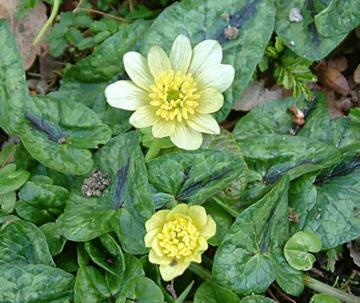 Flowers open creamy yellow becoming paler as they open. Glossy dark green, heart-shaped leaves marked with dark bronze. Not very fussy but prefers moist soil and a little shade. Thrives in woodlands, hedgerows and stream banks.